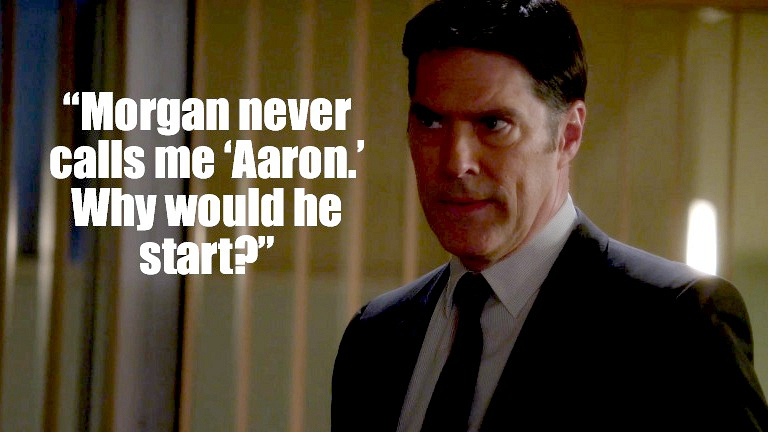 Why did Morgan call Hotch by his first name? "Morgan was stressed and it slipped," explained the episode's co-writer Kirsten Vangsness. As expected, Hotch certainly noticed the peculiar behavior.